We Serve & Protect Our Communities. Your Bugs Our Passion! Buggables Termite & Pest Solutions LLC are thrilled to bring a company to your area with so much to offer. 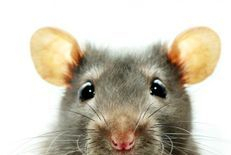 No hidden charges, No Bait and Switch, just Low cost Pest Control with Expert Service. You’re not just a number to us, Get back to the old Family Traditional way of doing Business, Trust, Loyalty and Honesty! We are your solution for fast, thorough Pest control, outstanding Termite treatments and other great services. We are family owned Quality Pro, State Certified Applicator with over 23 years experience. When you’ve got a problem, we’ve got your solution. Our objective is to ensure the complete satisfaction of every customer while offering knowledgeable technology, solutions to all your pest control problems at reasonable rates that keeps your money in your wallet...With all the services we have to offer we are dedicated to giving you true peace of mind and comfort. We accept Check, Cash and now all Major Credit Cards.